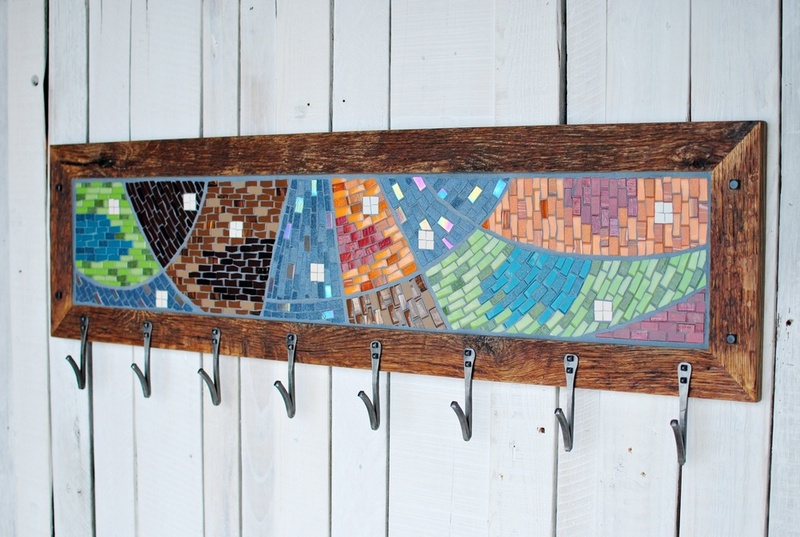 We recently finished a commissioned coat rack based on our line of mosaic coat racks in reclaimed wood frames with hand-forged hooks. This big guy, however, was almost four times as big as our usual coat racks! 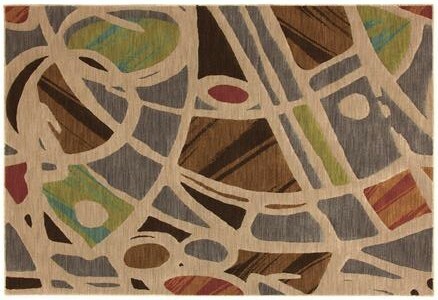 The client's hallway rug was the source of inspiration for both the colors and the design. 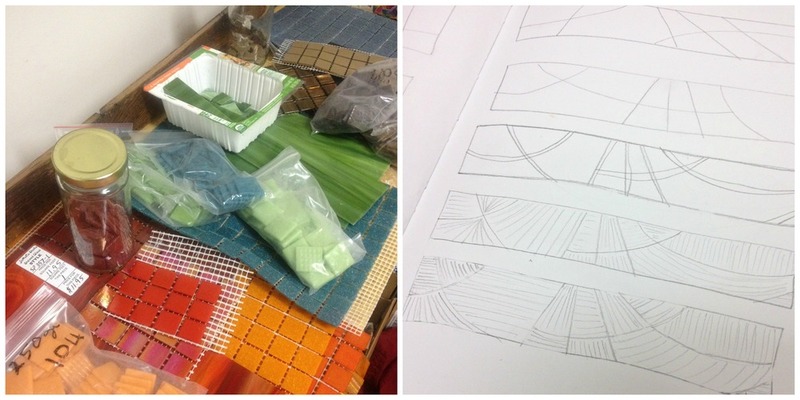 Pulling together the color palette and sketching out design ideas. Johannah used grout lines and andamento, the visual flow created by the placement of the tesserae (tiles), to create a sense of movement and balance of colors similar to the rug. Kyle created a reclaimed wood frame twice as wide as our usual frames to support both the physical and visual weight of the mosaic. He added his V-style hand-forged hooks to complete the piece.